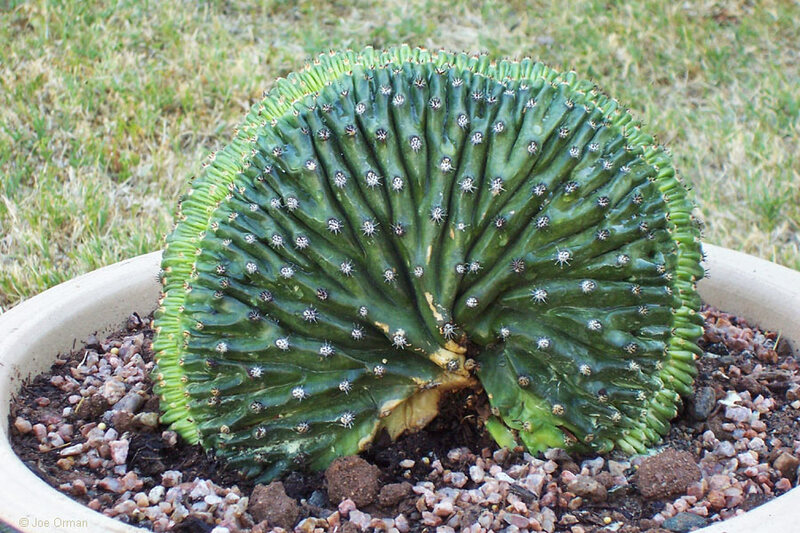 These "Crested Caterpillar Cactus" are unusual. horizontally. The caterpillar cactus is also sometimes called the "creeping devil"
the cactus does literally migrate over the ground as it matures.